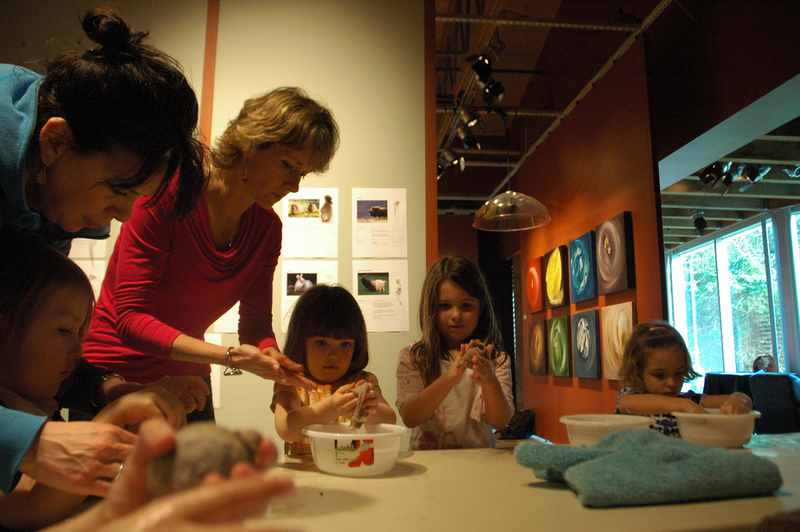 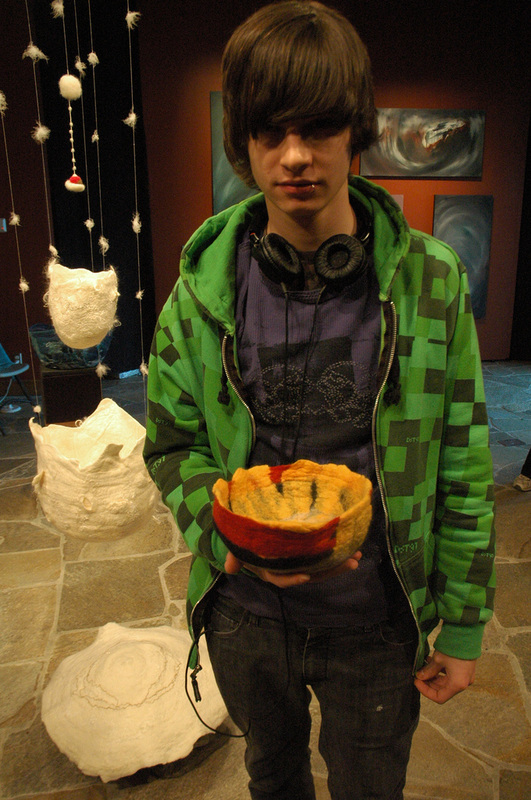 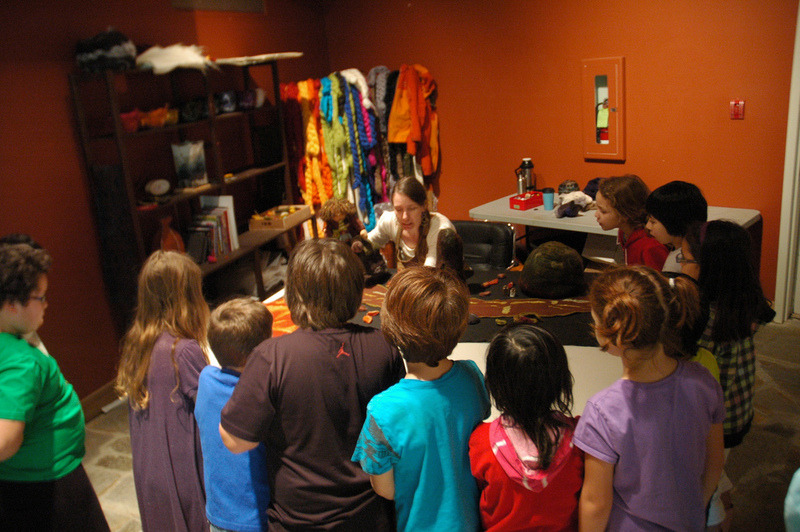 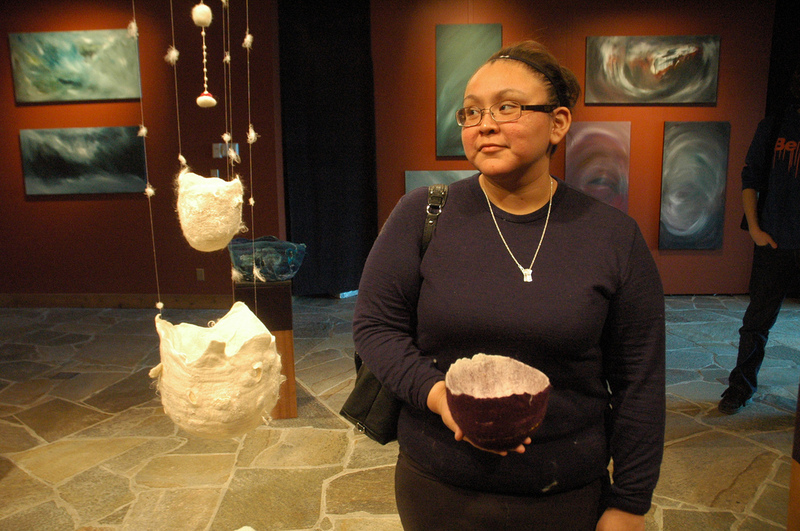 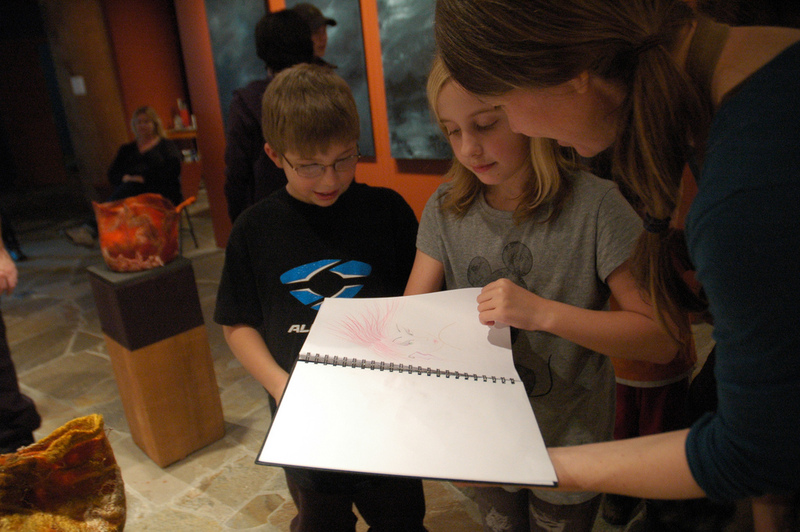 Twelve elementary classes and two secondary classes came to visit while the 'Landscapes of an Inner World' exhibition was up at the Haida Gwaii Museum in 2012. 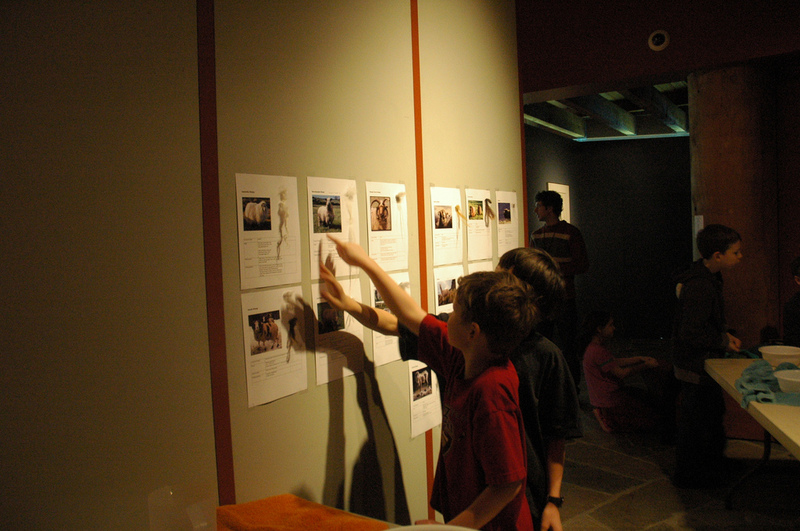 All students were introduced to the exhibition and to different kinds of sheep and their various wool before exploring feltmaking for themselves. 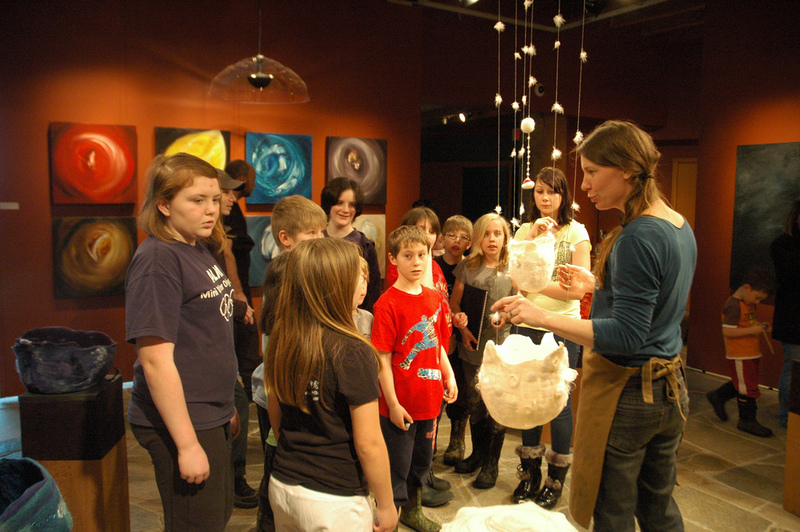 This project is inspired by the work of Fiona Duthie, who created 'The Rainbow Rock' story and project. 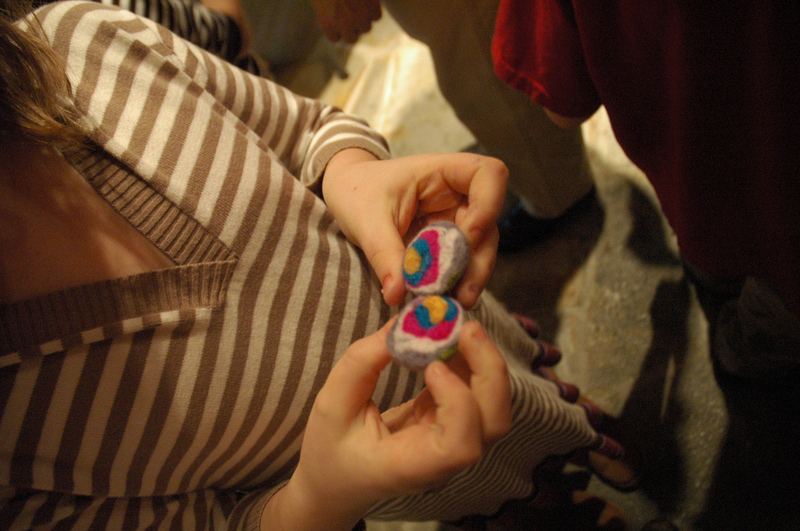 After listening to the story, everyone created their own felted rainbow rock and was excited to find the magical transformation of wool and its colours inside. 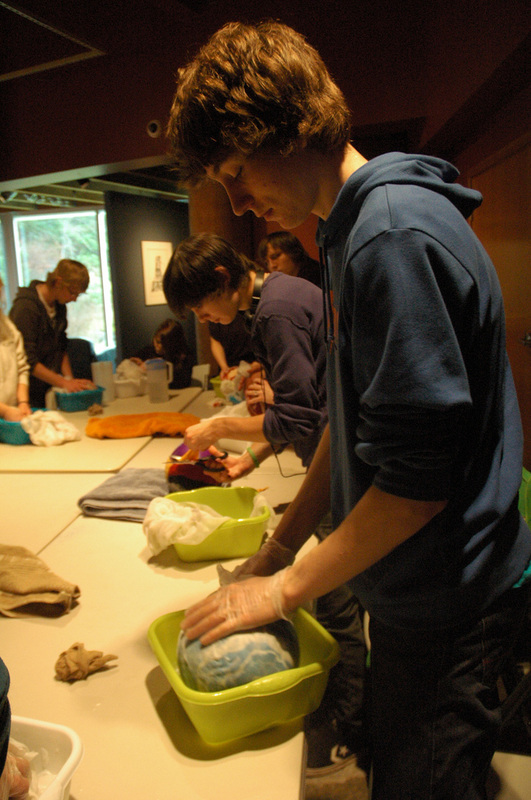 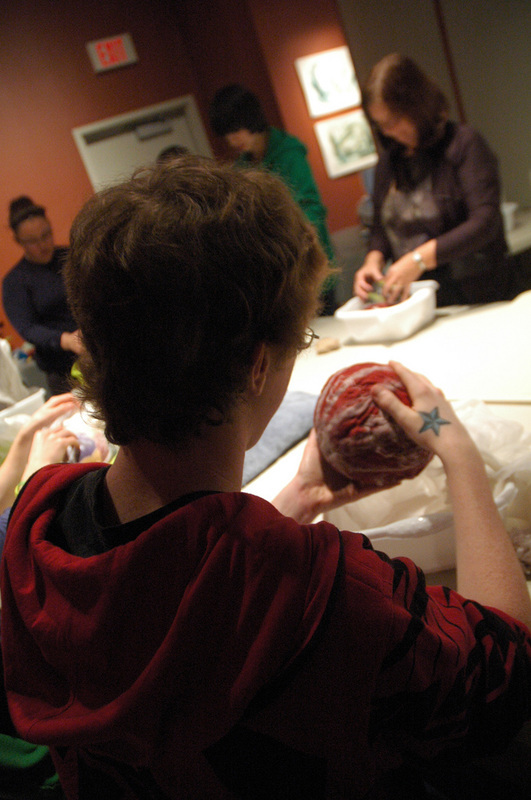 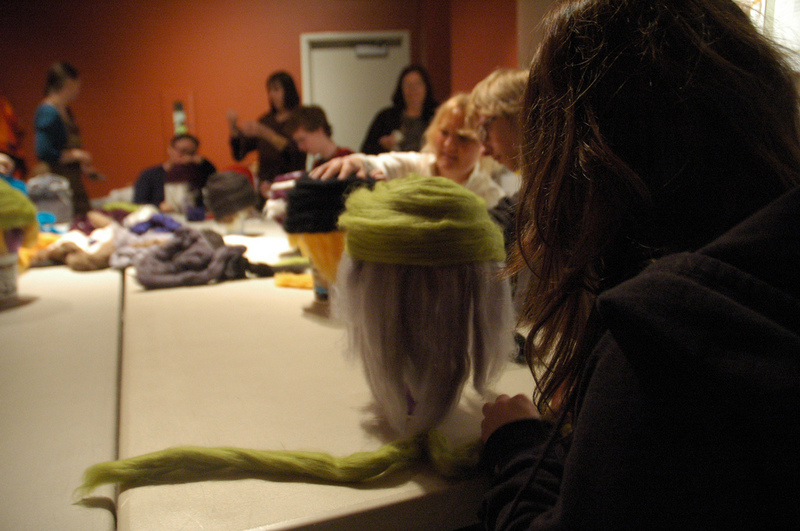 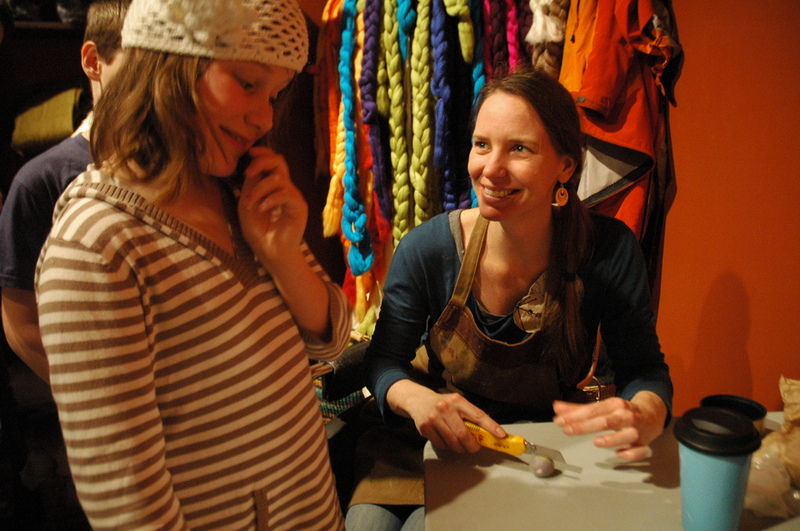 Two classes from Queen Charlotte Secondary School joined me at the Haida Gwaii Museum to create felted vessels. 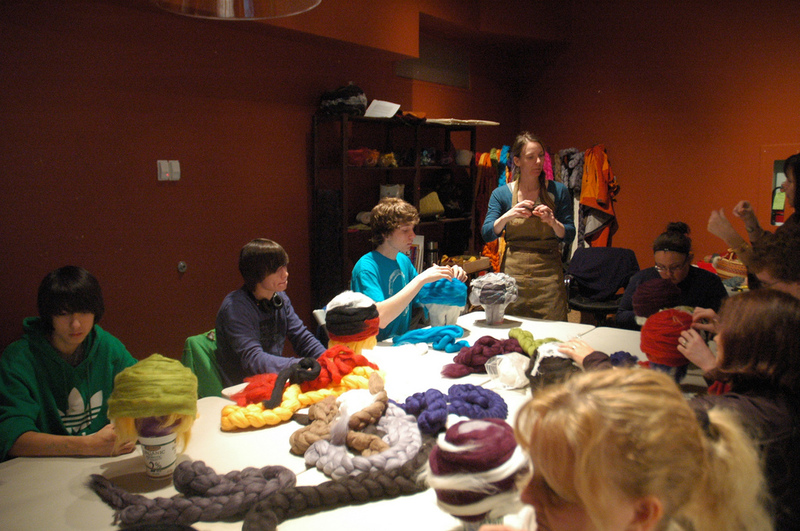 For most of the students this was the first time making felt. 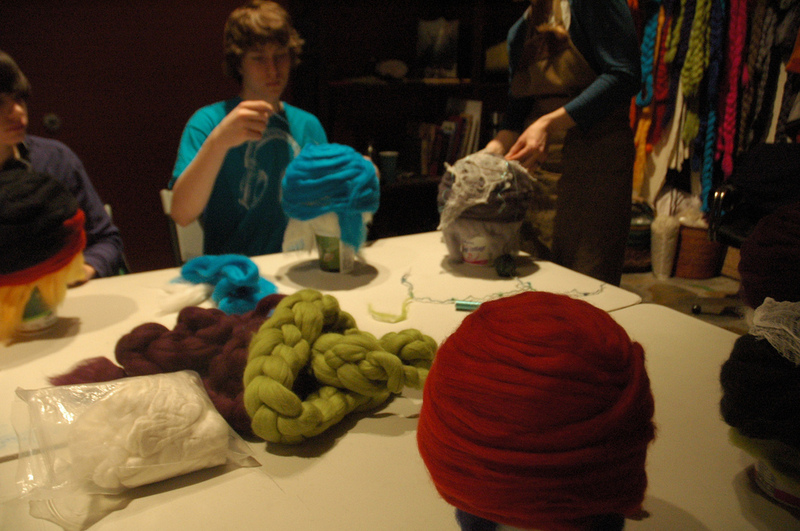 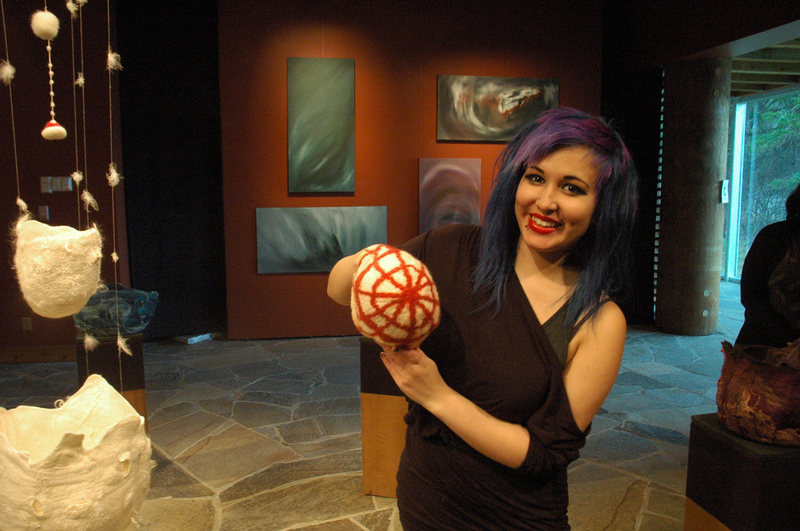 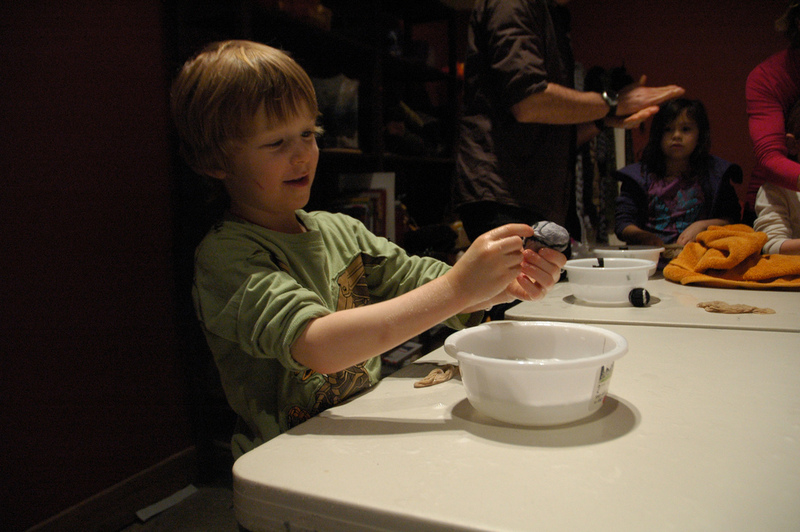 They learned to create a three-dimensional piece by wrapping wool around a balloon.